Searching for Other Planets Like Ours - Space Place in a Snap! Adapted from Mars Activities: Teacher Resources and Classroom Activities, a Mars Education Program product from the Jet Propulsion Laboratory and Arizona State University. My group had a lot of fun with this activity. I had 6-8 year olds and they loved coming back to the group with their observations and trying to draw what they saw on their worksheets. Lots of good discussions were going on in the room about space exploration and finding life on other planets. I combined this with the activity Investigate the Insides for a really fun hour-long library program. We tried this at a librarian conference. Engaging demonstration of how space exploration works (and how it costs). 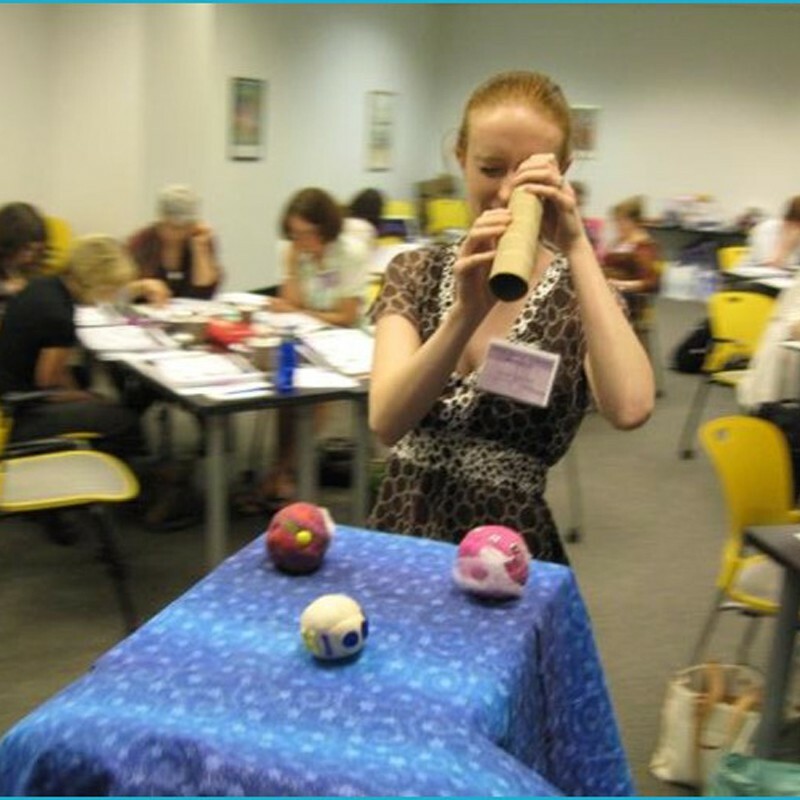 Fun pretend planets to explore and discuss! This would be a great after school program. A fun and inventive program choice! I recently did this activity in two library programs, one for 1st-2nd graders, and the other for 3rd-4th, and it was a delight! Because of time and space constraints (we did not have enough room to do the distance viewing), I adapted the activity slightly, in that I had the children pretend to be astronauts and they "landed" on their planets. They were able to use their senses to evaluate the planets, and I gave them observation sheets to record what they saw. What colors were there, was there signs of life (Stickers! ), what was the terrain like (I used hot glue to create a terrain, rather than modeling clay), was the planet heavy or light (golf balls hidden inside made for a weightier planet), was it a warm planet or a cold one (cold were put in a freezer beforehand)? For the older kids, we also had them write more in-depth observations and draw what they thought life might be like on their planet. Overall, it was a fun program and activity, and the information provided was really handy!